We’ve been playing Far Cry New Dawn, and aside from some minor gripes, it’s been an enjoyable experience. A common practice for game developers is to release a day one patch, getting in some last-minute fixes to ensure that a game is received as positively as it can be. 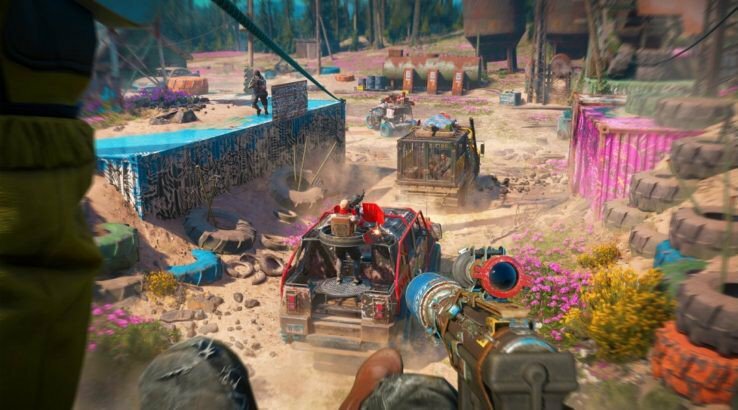 With Far Cry New Dawn, developer Ubisoft has quite the lengthy list of updates for the new shooter. You’ll find fixes to some of the missions, User Interface tweaks, enemies appearing on radar like they should, and updates to the game world. There are some exploits that were present in the pre-release version of the game, which will be addressed with this day one patch The day one patch will also add more stability to the game, fix gameplay issues, and address some issues with people may have had with the looting system. Will you be picking up a copy of Far Cry New Dawn? Have you already played it? What did you think? Let us know!